With Ride On, Bill Irwin gives us one of the more varied and interesting EPs of the year so far. Occasionally jangly and always hooky, there’s something here to please just about everyone. Irwin comes to grips with the death of a friend with the disk’s opener, “Take These Ashes”. The delicate, expressive opening guitar sets the mood perfectly to a song whose lyrics resonate with just about every one of us. Listen to “Watching the Satellites” and you can’t help but be impressed with Irwin’s vocal abilities. “Say You Don’t” is the song you hear on the radio while driving down the interstate with the windows down. TURN IT UP. But for me, the high water mark is “King”. With a slightly psychedelic vibe, song structure and harmonies that at times may remind one of Oranges & Lemons era XTC, it’s the song I always go back to. Much of Ride On is co-written with Jamie Hoover. His fingerprints are all over this record as he produced it, too. 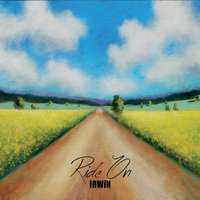 Whether you’re a fan of Impulse Ride, The Spongetones or simply well written, hooky pop songs, Irwin’s Ride On is a must. Get your copy at CD Baby.